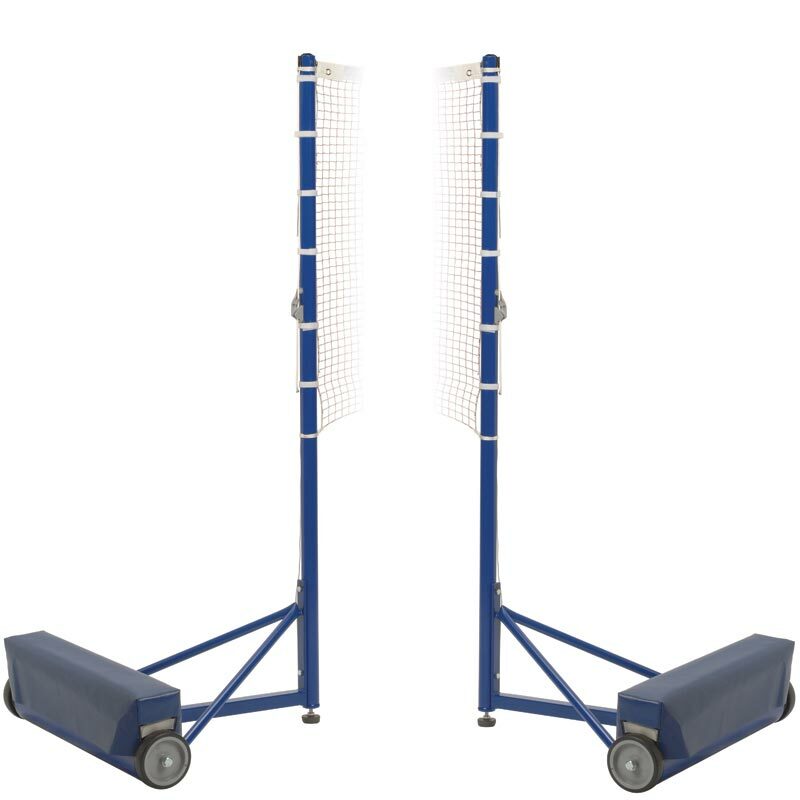 The Harrod Sport ® Premier Wheelaway Competition Badminton Posts are ideal for sports halls where ground sockets are not possible. Uprights and bases do not protrude into the court area conforming to required safety standard. Badminton World Federation (BWF) Approved. Conforms to BS EN 1509. 40mm diameter heavy duty aluminium uprights with 5mm wall. Uprights and bases are polyester powder coated blue. 125mm diameter rubber wheels will not mark or damage floors. Foam filled PVC base protectors with Hook and Loop fastening. Total weight per pair of posts 164kg. Nets to be ordered separately. Lost the instructions for your Harrod Sport Wheelaway Schools Training Badminton Posts? Please Click Here to download a new copy.